BRYAN EATON/Staff photo. 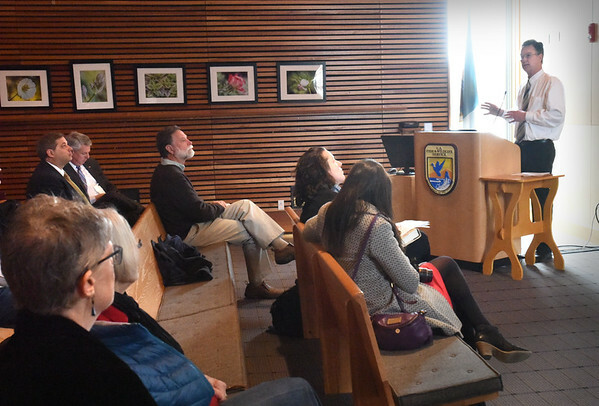 Thomas C. Anderson from the Executive Office of Energy and Environmental Affairs addresses those in attendance at the Parker River National Wildlife Headquarters on Tuesday morning. The meeting hosted buy state Sen. Kathleen O'Connor Ives dealt with tax credits to those who donate land for public use.